Sam Niebrugge focuses primarily on transactional matters for the oil and gas and mining industries. In addition to his work with oil and gas and mining producers at DGS, he worked in-house for a large independent oil and gas producer in Denver. Mr. Niebrugge’s practice involves the drafting and negotiating of purchase and sale, development, exploration, joint operating, farmout, and master services agreements, in addition to other agreements in the oil and gas and mining industries. He has experience in both asset and equity transactions, as well as the preparation of all forms of title opinions covering fee, state, and federal lands. Mr. Niebrugge frequently works with other attorneys to complete large and complex transactions. Mr. Niebrugge received his J.D. from the University of Denver Sturm College of Law and was admitted into the Order of St. Ives, an honor awarded to graduates ranking in the top 10 percent of the graduating class. He earned a B.S.E. from the University of Michigan, Ann Arbor, in Mechanical Engineering in 2003. He is a registered patent attorney. Mr. Niebrugge has authored several papers and spoken extensively to in-house counsel and at continuing legal education events on all matters associated with the oil and gas industry. 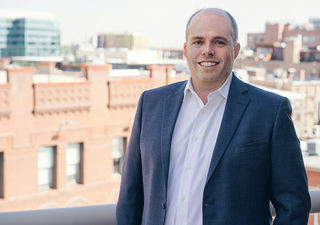 He was named a “Rising Star” by Colorado Super Lawyers from 2014 to 2019. He was also selected for inclusion in Who’s Who Legal: Energy 2015-2019. Mr. Niebrugge is a member of the Colorado and Denver Bar Associations and the State Bar Associations of North Dakota, Oklahoma, Texas, and Wyoming. He is a founding member of the Denver Zoo’s Leadership Council. Mr. Niebrugge has volunteered for Denver Public Schools as a substitute teacher and has been a mentor at the University of Denver Sturm College of Law. He is a trustee and member of the Financial Advisory Committee and Special Institutes Committee and the co-chair of the Oil and Gas Section for the 2018 Annual Institute for the Rocky Mountain Mineral Law Foundation (RMMLF). He is also a former chair of the RMMLF Young Professionals Committee. Within the firm, Mr. Niebrugge was previously a member of the DGS Diversity & Inclusiveness and Technology Committees.